Dr. Md. Faruk Hossain passed MBBS from Mymensingh Medical College in 2001. He obtained MCPS (Psychiatry) in 2011 and FCPS (Psychiatry) in 2016 from Bangladesh College of Physicians and Surgeons (BCPS). 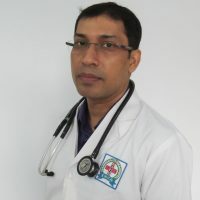 He joined Enam Medical College as Associate Professor of Psychiatry on September 1, 2018.